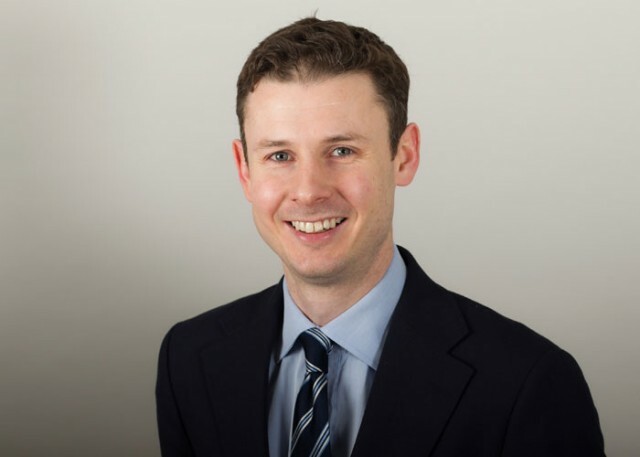 Jonathan is an experienced personal injury and clinical negligence practitioner. His practice consists of personal injury litigation at multi-track level, clinical negligence at all levels and instructions as a junior in catastrophic personal injury claims. Jonathan also practices in professional negligence and regulatory professional discipline. He is frequently instructed by the General Dental Council and is experienced in General Medical Council fitness to practice hearings. In addition, Jonathan practices in the field of financial mis-selling and consumer credit litigation in which he has appeared in a number of reported cases. Jonathan is instructed in all aspects of personal injury work. He primarily undertakes work at multi-track level. He is regularly instructed in claims with a value of between £50,000 and £500,000 and as a junior in catastrophic cases. In addition he regularly appears at coroner’s inquests in cases involving accidents at work, deaths in custody and deaths in hospitals. He is experienced in costs matters. Jonathan is the joint author with Robert Weir QC of the chapter on the liability of public authorities for Butterworths Personal Injury Litigation Service. Obtained a settlement of £400,000 for a young man who had suffered a serious knee injury in a motorcycle accident. Obtained a settlement of £125,000 for a Claimant who suffered nervous shock following a serious explosion at the chemical plant where he worked. The Claimant's colleague was killed. Liability was denied on the basis that the Claimant was to be treated as a secondary and not a primary victim. Successfully represented a Claimant at trial who had developed chronic low back pain after an accident at work. The judge rejected the evidence of the Defendant's orthopaedic surgeon and awarded the Claimant damages in full in the sum of £196,000. Successfully represented the Claimant at trial in a claim arising out of a trip on a bollard placed in the highway that was not illuminated at night. The judge accepted the argument that the act of placing the bollard in the highway was a positive act that created a hazardous obstruction at night thus casting upon the highway authority a common law duty to light the bollard. Instructed to represent the Claimant in a living mesothelioma case which included representing him at a deposition hearing. Obtained permission to appeal from the Court of Appeal in respect of a judgment dismissing a claim arising out of alleged breaches by the Defendant of the Health and Safety (Display Screen Equipment) Regulations 1992 in respect of the Claimant’s employment on the radar stations at a sea port. The claim subsequently settled. Junior to Robert Weir QC in a catastrophic spinal injury claim involving complex issues relating to the liability in tort of public authorities. Junior to Robert Weir QC in a claim arising from a diving accident in the territorial waters of Saudi Arabia. The case involved issues as to the scope of the law of tort in Saudi Arabia as well as complex issues on liability and quantum. The claim settled at trial. Junior to Stephen Killalea QC in various catastrophic injury claims. Represented the Claimant at various interlocutory hearings in the High Court in a catastrophic neurotrauma case. The Claimant was a highly successful hairdresser and fashion photographer who lost his career. Advised on issues of conflict of interest relating to the disclosure of a solicitor’s file in respect of a claim brought on behalf of a patient that had settled in 2005. Represented the family of the deceased at the inquest into the death of Philip Marsden who was fatally shot by Staffordshire Police. Regularly instructed to act for Claimants in actions brought under the Package Travel, Package Holidays and Package Tours Regulations 1992. Jonathan is developing a regulatory practice and is keen to expand in this area. Recently he successfully defended a consultant maxillo-facial plastic surgeon in fitness to practice proceedings before the General Medical Council. It was alleged that the Defendant’s fitness to practice was impaired by reason of misconduct arising out of a series of rhinoplasty procedures. After a two week hearing the prosecution was dismissed. Jonathan is also instructed by the General Dental Council. Jonathan is an experienced clinical negligence practitioner who accepts instructions at all levels. Advices on liability and quantum. Jonathan has recently advised a Claimant in relation to a claim arising from the negligent management of her labour. Currently instructed in two cases in which the surgery took place in Belgium giving rise to jurisdictional and choice of law issues. Currently instructed on behalf of a consultant plastic surgeon defending a claim arising out of a blepharoplasty procedure. Currently instructed on behalf of a consultant bariatric surgeon defending a claim arising out of gastric band surgery. Instructed by the Claimants in two claims arising from the delayed diagnosis of a stroke. Instructed by the Claimants in two claims arising from a negligently performed liposuction operation. Instructed in a fatal accidents claim arising out of the failure to diagnose sepsis. Instructed by the Claimant in a claim arising out of negligently performed biliary surgery. Appearing at numerous coroner's inquests on behalf of the family of the deceased who has died whilst under the care of medical professionals. Often there is a clinical negligence claim in the background. Examples include an alleged failure to diagnose a deep vein thrombosis, a negligently performed bowel resection and a failure to diagnose sepsis. Jonathan is developing a professional negligence practice and is keen to expand in this area. He principally accepts instructions to act for Claimants and Defendants in claims against solicitors arising from personal injury or clinical negligence claims. A claim arising out of an asbestosis action which was struck out on the grounds of abuse of process arising out of the Claimant's solicitors handling of the expert liability evidence. A claim where it was alleged that there had been a failure to take proper instructions in respect of an offer of settlement from a Claimant who could not speak English. Claims involving under-settlement and missed limitation. Jonathan has advised in other cases involving solicitor’s negligence and also surveyor’s negligence. Jonathan's work in this field includes claims arising from the mis-sale of payment protection insurance policies, interest rate swap products, investments and mortgages together with a variety of cases with a consumer credit element. He is familiar with the relevant FCA rules and the Consumer Credit Act 1974. Jonathan has acted without a leader in the Court of Appeal in two financial mis-selling cases, succeeding in both. Scotland v British Credit Trust  EWCA Civ 790;  1 All E.R. 708;  1 All E.R. (Comm) 401;  Bus. L.R. 1079;  C.T.L.C. 25: Succeeded on behalf of the Claimants at first instance and in the Court of Appeal. The appeal concerned the scope of and interaction between section 56 and section 140A-C of the Consumer Credit Act 1974. The Court of Appeal found that there was the relationship between creditor and debtor was unfair to the debtors as a result of the mis-selling of PPI by independent salesmen from whom the debtors had purchased windows that were financed by the loan. Saville v Central Capital  EWCA Civ 337;  C.T.L.C. 97: Acted for the Claimants at first instance and on their successful appeal to the Court of Appeal. The appeal concerned the issue of causation in respect of a broker’s breach of the Insurance Conduct of Business Rules (ICOB) of the FSA handbook. McWilliam v Norton Finance (UK) Ltd (t/a Norton Finance (In Liquidation)  EWCA Civ 818: Claimant’s application to re-instate appeal previously dismissed by consent after Defendant came out of administration and entered into a CVA. Led by Hodge Malek QC. Blackhorse v Speak  EWHC 1866 (QB);  C.T.L.C. 211: Led by David Berkley QC representing the Defendants in a test case concerning the enforceability of a fixed sum loan agreement following the alleged mis-sale of associated payment protection insurance by Blackhorse. Goodman v Central Capital Limited  EWHC 8 (QB);  C.T.L.C. 158: Acted for the Claimants in a claim for breach of ICOB rules in respect of PPI mis-selling. C v FOS: Instructed by the Claimants in a judicial review action against the FOS arising out of mortgage mis-selling where the FOS failed to award redress in accordance with the tortious measure of damages. The action settled. C v FOS: Instructed by the Claimants in a judicial review action against the FOS arising out of mortgage mis-selling on the grounds that the FOS adopted the wrong approach to the issue of causation in respect of breaches of duty held to have been committed by the broker. Permission to seek judicial review was granted after an oral hearing. Proceedings settled thereafter. Djamalis v Clydesdale Bank: Instructed by the Claimants in an investment mis-selling action brought pursuant to section 138D FSMA. The claim settled. S v HSBC: Instructed by the Claimants in an interest rate hedge mis-selling action brought pursuant to section 138D FSMA, in negligence and under sections 140A-C of the Consumer Credit Act 1974. The claim seeks consequential losses flowing from the Claimants' inability to develop their hotel business while subject to the hedge. Advices on mortgage mis-selling and timeshare mis-selling. Currently instructed on several interest rate hedge mis-selling claims.